It's the autumn of the year and as the days get shorter, the air turns crisp, the leaves begin changing color while beginning their fall as the trees go into winter hibernation. Pumpkins are plentiful during the Autumn months of the year, as the fall is when the pumpkins are harvested from the fields. Corn stalks, bales of hay, scarecrows and pumpkins are being placed around homes for decorations both inside and out to welcome in the beginning of autumn with Halloween celebrations. Pumpkins are being carved to decorate for the Halloween holiday season and to celebrated the bountiful harvest as we prepare for the coming winter months. What many people don't realize is that pumpkins are good to use for things besides Jack-o-lanterns and pumpkin pie. Pumpkins are one of the healthiest foods we have going at this time of the year and their shells can make a gorgeous show stopping presentation at any holiday feast when stuffed with other food and served from the holiday table. 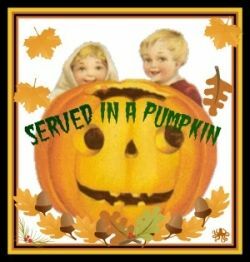 For Autumn and Halloween Dinner Parties or a Thanksgiving Feast, it makes a gorgeous presentation when a main course is served in a real pumpkin as a serving bowl. The dish can then be eaten along with the pumpkin if you wish. 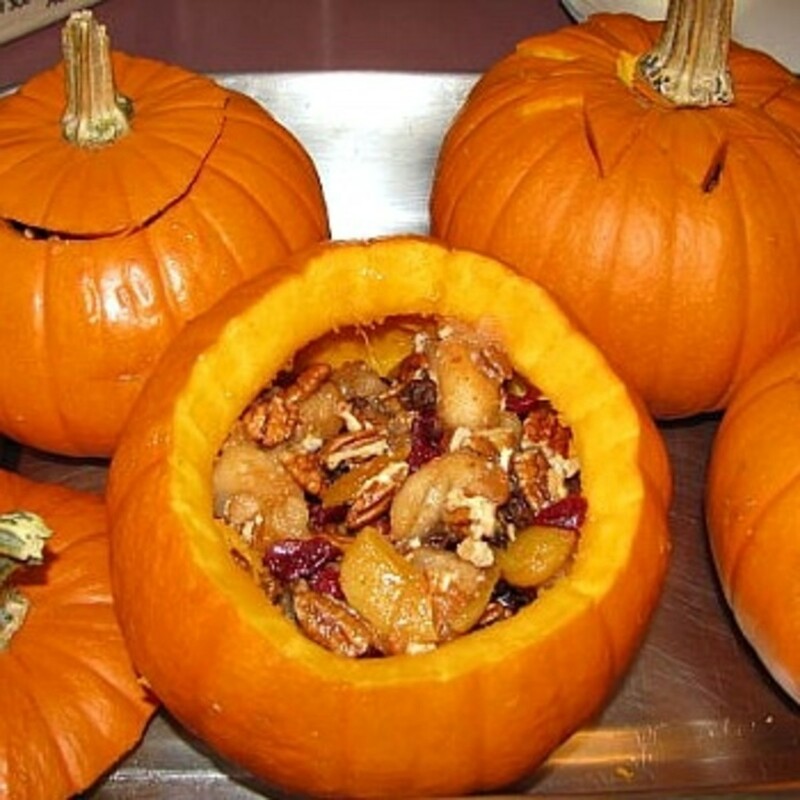 Halloween and Thanksgiving are the perfect holidays to use pumpkin shells as serving bowls. If a loved ones birthday happens to fall during an Autumn month, then by all means try pumpkin for their birthday! The type of pumpkins you will want to buy are the "small sugar pumpkins" or the "pie baking pumpkins". Buy a large pumpkin to use for soups and stews and buy smaller pumpkins for side dishes and desserts. The smaller ones can also be used as individual serving bowls. 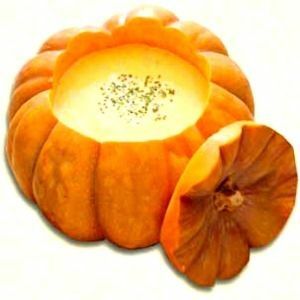 Buy enough for each guest attending your dinner to have their own pumpkin bowl.. There are several ways pumpkin bowls can be prepared; it all depends on how you want to use them. Pumpkins can be washed, scraped clean of seeds and used raw, or they can be baked with or without being filled. If using raw, after cleaning out the seeds and fibrous membranes, rub mineral oil (it's food safe) all over the shell. The oil shines them up making them look clean, pretty & shiny. 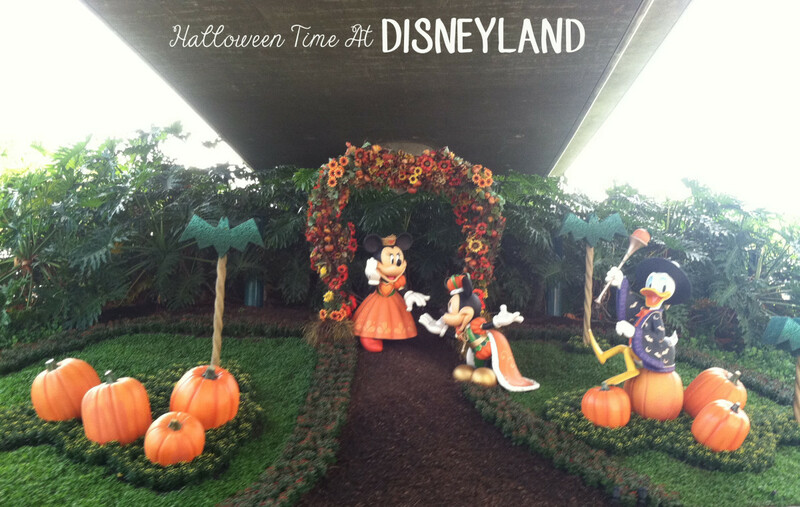 Notice the pumpkin lid in the photo. 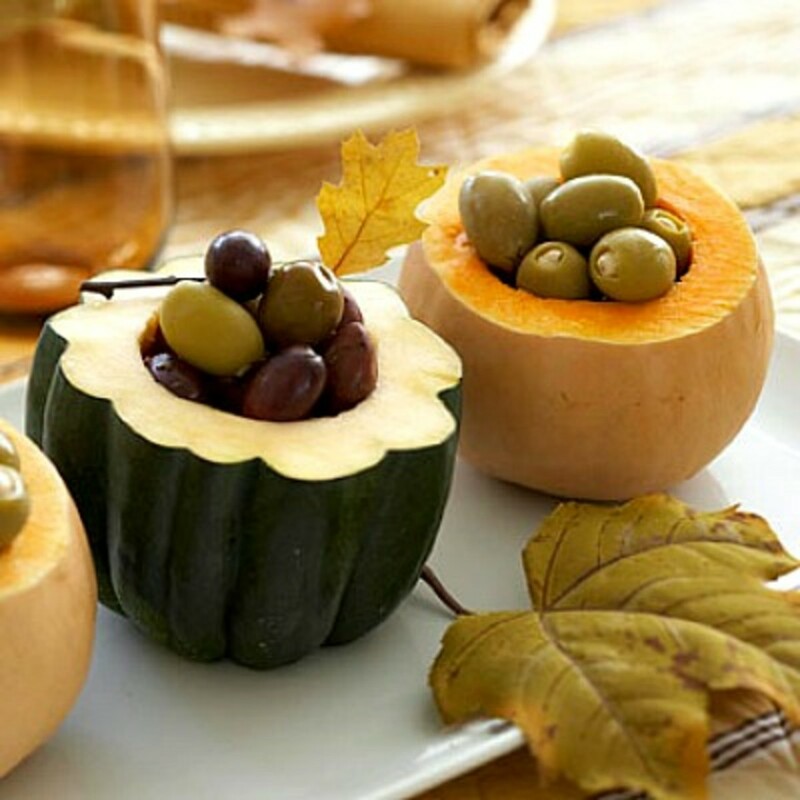 Pumpkin shells can be used to serve any number of food creations for a stunning table presentation. You are only limited by your imagination. 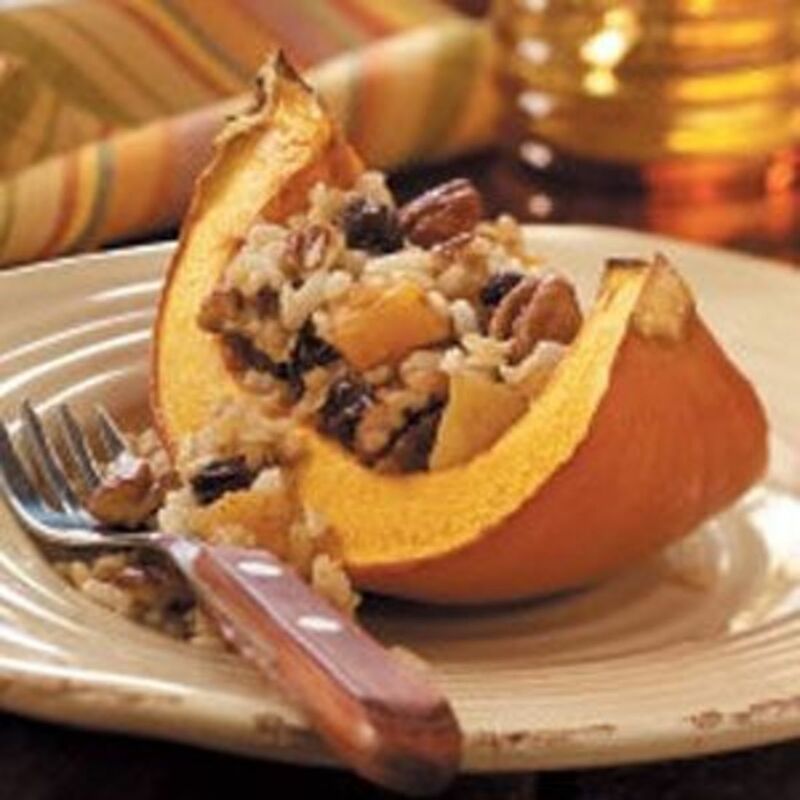 Below is a list of just 12 of the many autumn food ideas that can be served from hallowed out pumpkin and other winter squash shells. 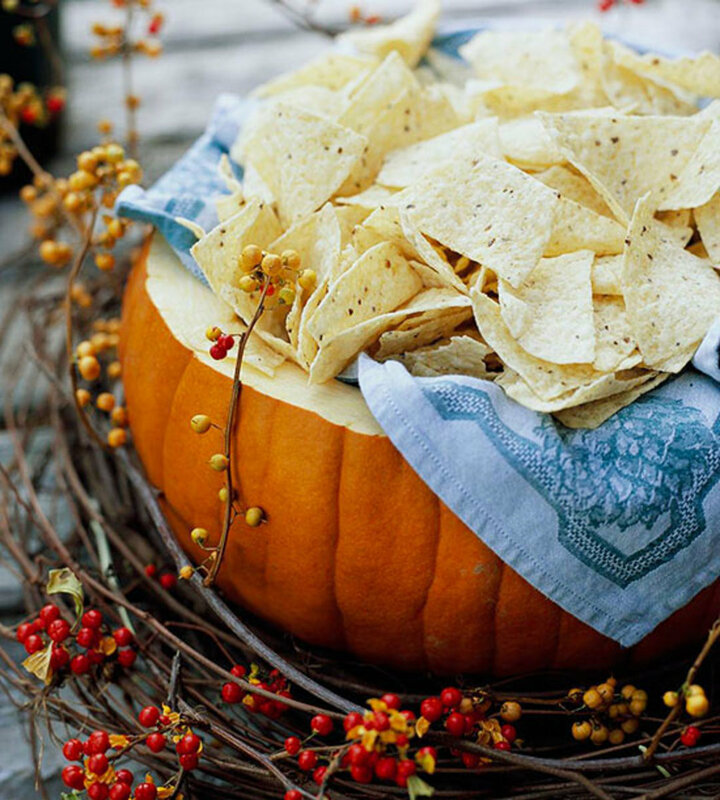 Pumpkins can serve the dip or the chips; large pumpkin for the chips and a small one to serve a cheese dip, guacamole or salsa. Twist a wreath out of bittersweet vine to act as a decorative base for the pumpkin shell chip bowl. This is an incredibly easy recipe and delicious fall recipe. When I first made it I didn't have any ricotta cheese so I used 4% fat small curd cottage cheese and I added a little grated whole milk mozzarella. I wouldn't try it with a low fat milk mozzarella as it won't melt right. I also substituted Spike (I love Spike. Find it at local Health Food Stores) for the salt and added dry hand rubbed sage that I had grown in my garden that summer. Both ways are delish. My way was a creamier, cheesier version. 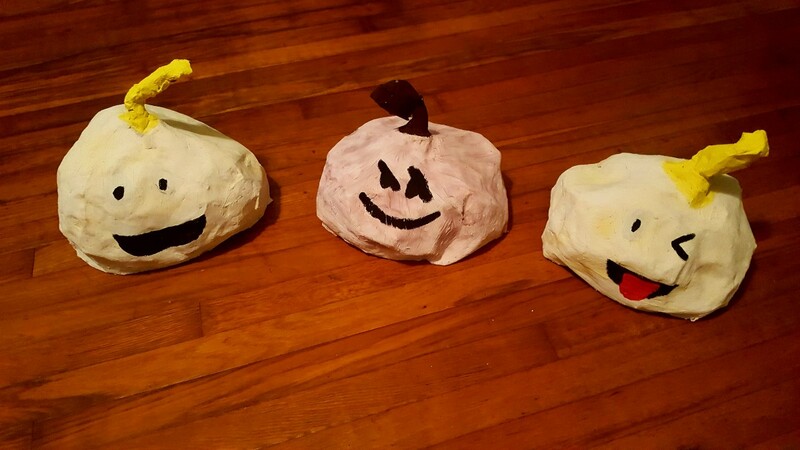 Cut tops off pumpkins, make the hole quite large. Gut the seeds and stringy insides. Set pumpkins in a baking dish and liberally drizzle olive oil inside each. Toss in garlic, garlic powder, Italian herbs, salt and pepper. Remove from oven and let cool. Carefully scrape out pumpkin flesh into a separate bowl. The flesh should be very soft, and easy to remove. Add softened cream cheese, ricotta and pumpkin to food processor, or blender, blending until smooth. Add in parmesan and seasoning. Scoop pureed mixture back into pumpkin shell or serving dish. Serve warm with multi-grained crackers. 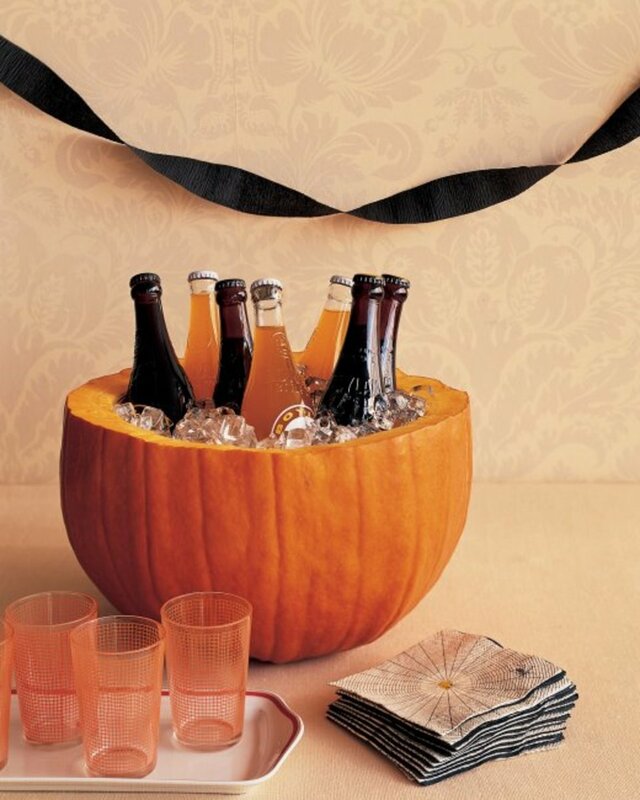 This is really quite simple to do and is a festive way to use pumpkin shells to serve your party guests. First, you will need a large plastic or glass bowl to line the pumpkin once it is cleaned. 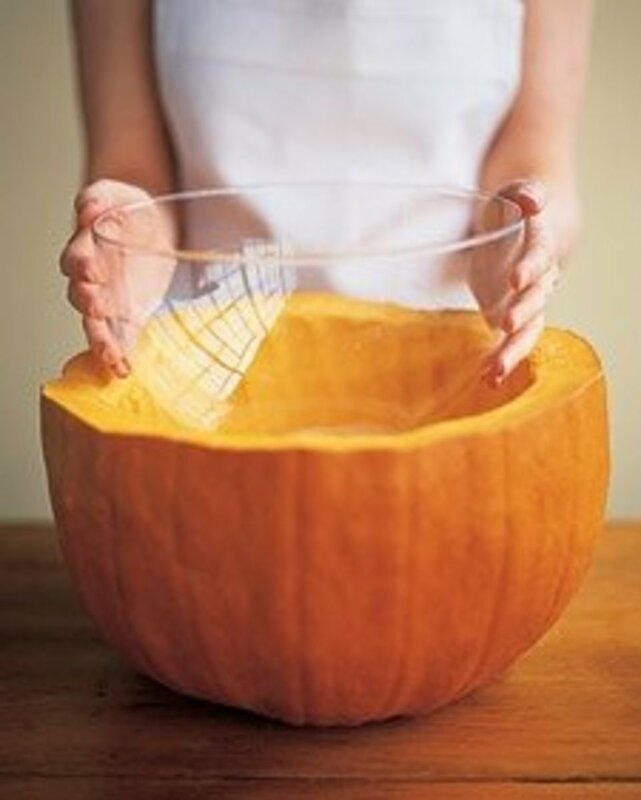 Measure the bowl so that you will know how large a pumpkin you will need to hold the bowl. Next, select a wide, large pumpkin; measuring it to be sure your bowl will fit in it. 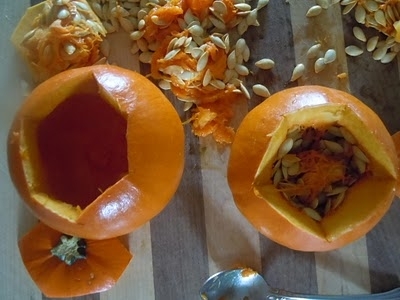 Cut off the top third with a serrated knife or keyhole saw, and scrape out the pulp and seeds. If the pumpkin is a bit rocky, saw of a thin layer on the bottom just to level. Rub down outside of bowl with mineral oil to shine it up. Next, fit your bowl into the pumpkin. The bowl will prevent the gourd from becoming water-logged and soggy. 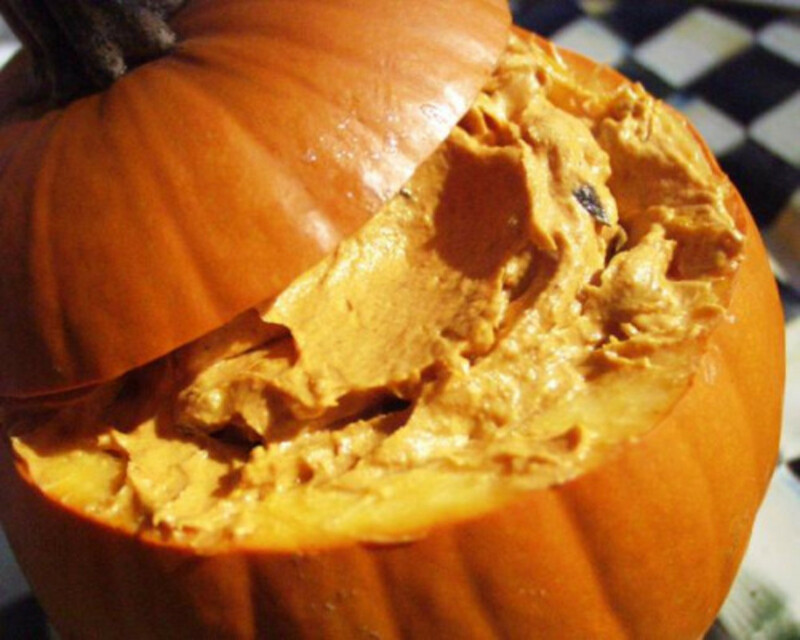 If the pumpkin opening is a bit too small for the bowl, carefully shave the inside edge with a spoon. Finish by filling the bowl with ice and bottles of beer or wine. 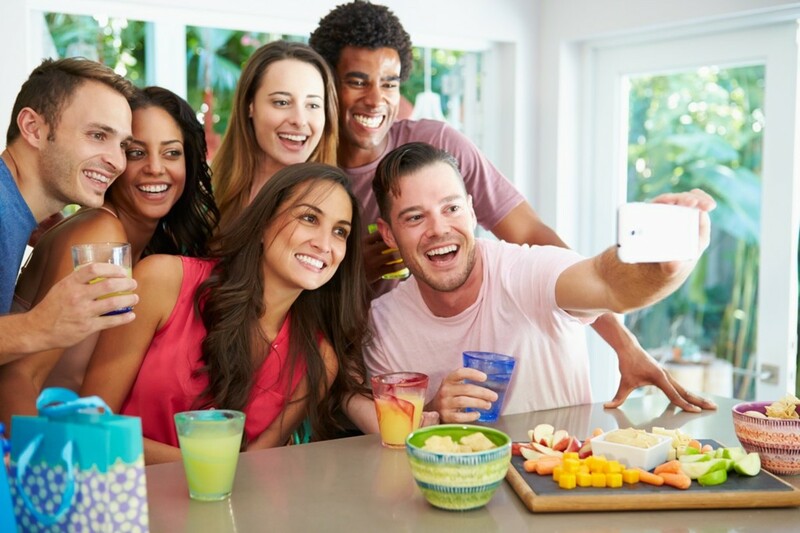 Note: This bowl could be used as a harvest party punch bowl too! In a large bowl, add the spiced rum, blood orange juice, lemon juice, simple syrup and pumpkin puree. Stir to combine. Meanwhile, place a large bowl into the hollowed pumpkin shell. Be sure your bowl is safe to handle dry ice. A stainless steel or pyrex glass bowl will be fine. Next, use tongs to fill the bottom of the bowl with dry ice, and cover with a slightly smaller bowl. This bowl will hold your punch. Again, make sure both bowls are safe for dry ice. Certain materials will shatter when exposed to dry ice. Pour the mixture into the punchbowl. Add the ginger ale and stir to combine. And the fun begins.... Carefully pour hot water into the bottom bowl so that it contacts the dry ice, thus activating the vapors. 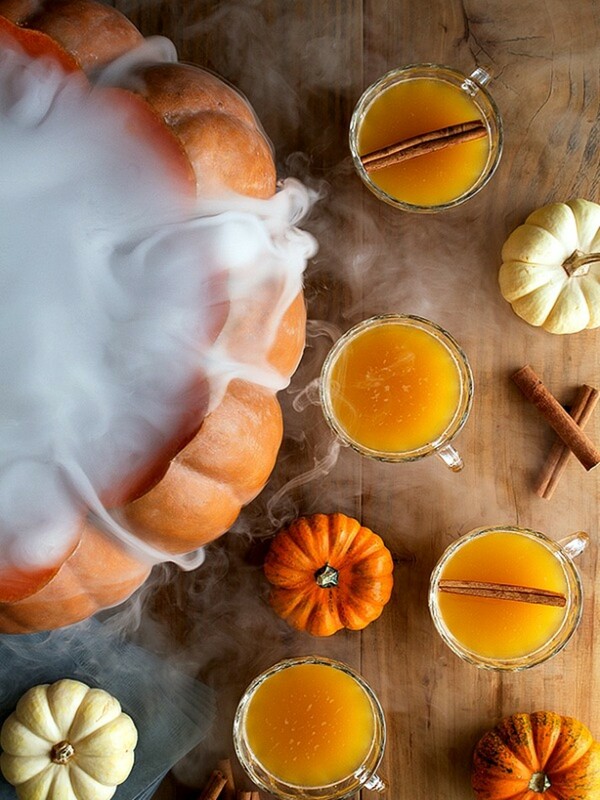 Your spooky pumpkin punch is ready to serve. 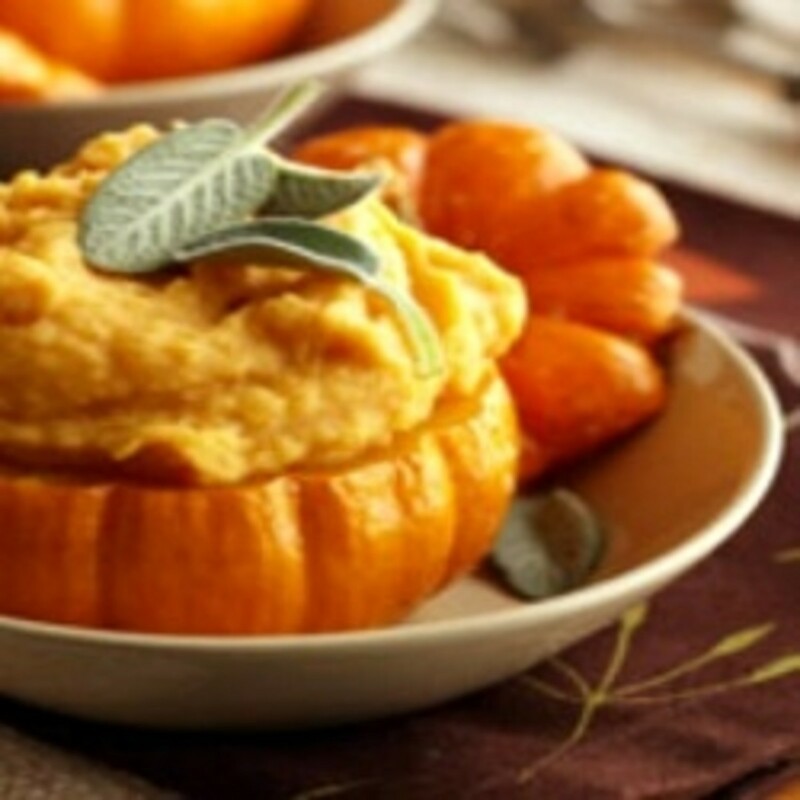 A mashed potato and pumpkin combination are a delicious and healthful side dish that works well for any Autumn or Thanksgiving Dinner Party. Heat oven to 425 degrees F. Have a 151/2 X 10-1/2-inch jelly roll pan. Place pumpkin halves down on work surface. Peel with a sharp knife or vegetable peeler, following shape of pumpkin. Once peeled, cut the pumpkin in to 1-1/2-inch chunks. Set pumpkin chunks on a jelly roll pan with the onion, butter, garlic, 1/4 tsp. salt and the pepper. Toss to mix, then spread out evenly on the pan. Roast 25 minutes, stirring once, until pumpkin is tender and lightly browned in spots. Meanwhile, peel russet potatoes and cut into chunks. Place in a medium saucepan and add just enough water to cover the potatoes; bring to a boil; turn down to low and simmer for 15 minutes or until potatoes are tender. Remove from heat; drain potatoes reserving 1/3 cup cooking water. Return drained potatoes back to pan while still hot. Add pumpkin mixture, any juices in pan and the remaining salt, cream cheese, and 1/4 cup of the reserved water. Mash with a potato masher, leaving potatoes slightly chunky and adding remaining cooking water if dry. Stir in chives. Reheat over low heat if necessary. 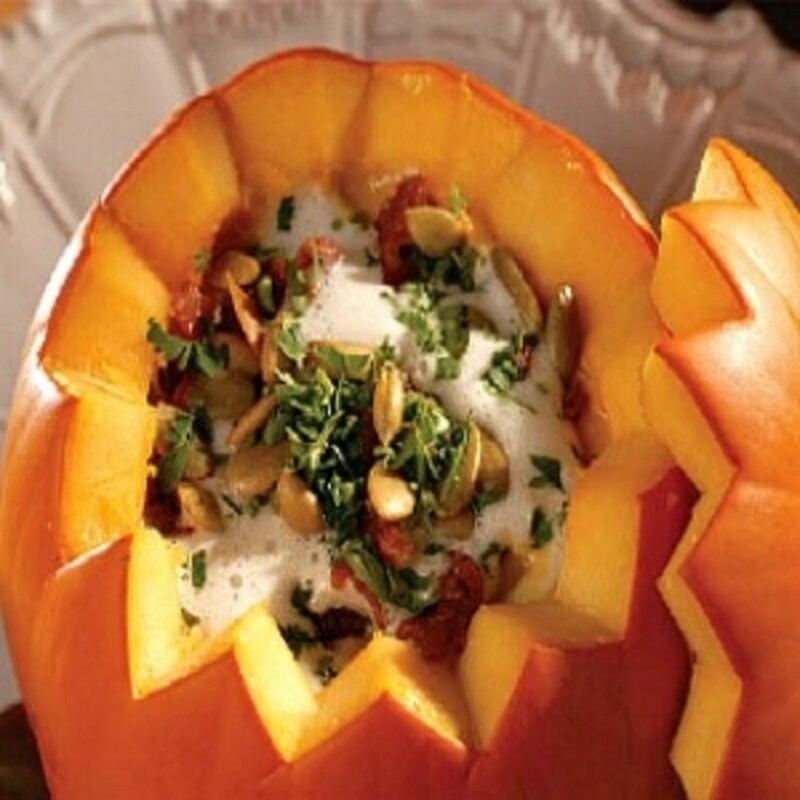 Serve in hollowed out pumpkin shells. Real maple syrup or honey may be added to pumpkin mixture to sweeten. It all depends on taste. Personally, I do not prefer the pumpkin & potatoes to be real sweet so I don't use it, but for those who do prefer a sweeter pumpkin flavor there are a healthier alternative than brown sugar. One 15-ounce can of pumpkin can be substituted for real pumpkin and a pumpkin soup tureen may be substituted for the pumpkin shell, but is not as impressive. Use sage instead of chives or scallions for a different, and delicious flavoring. Add with the roasted vegetables. 6 small red potatoes about 12 oz. 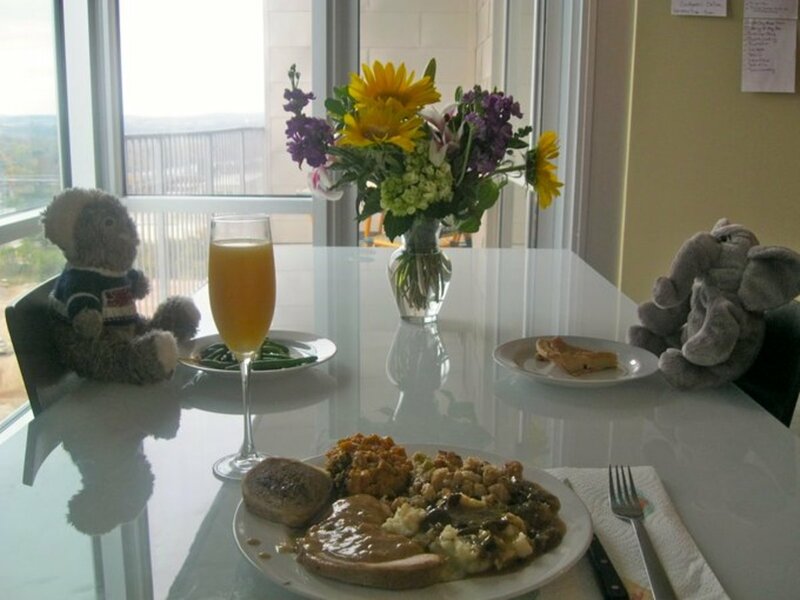 Slice the carrots; cut red potatoes in half and slice; cut the apple in half, core and cut in 12 slices; dice the onion, and thinly slice the garlic gloves. Next cut the top off the pumpkin, about 2 inches below the stem, to create a lid about 6 inches in diameter. Cut it on a slant so that it will sit on top and not fall through. Scrape out the seeds and stringy fibrous pulp. Set aside for later when they can be cleaned and roasted, if you wish. If not, discard. Mix oil and melted butter in a small cup. Lightly brush some inside the pumpkin, then sprinkle with 1/4 tsp. of sea salt. Place cut side down at one end of pan. Pile carrots, potatoes, apples, onion, nuts (if using) and garlic at other end of pan. Drizzle with remaining oil mixture, then sprinkle with remaining salt, thyme & freshly ground pepper. Toss to coat then spread out evenly to roast. Roast 30 minutes, turning the vegetables over once, after the first 15 minutes. After 30 minutes, increase oven temperature to 450 degrees F, turn pumpkin over and continue to roast for another 15 minutes, turning vegetables once more, until vegetables and pumpkin are tender. For a stunning presentation, fill the pumpkin with the roasted vegetables and present in the whole pumpkin at the dinner table. Cut in wedges to serve. I haven't had this recipe in a long time and don't know where I got it originally. I found a couple of recipes online that are similar but a little different. Sherrie Hansen' (owner of the Blue Bell Inn B&B) recipe was the closest and she couldn't remember where she got her recipe from either. She uses smaller pumpkins for individual servings while I used a whole larger pumpkin. Scrub the pumpkin. Leaving the stem on for a handle, carve the top off the pumpkin, about 2 inches below the stem, to create a lid about 6 inches in diameter. Cut it on a slant so that it will sit on top and not fall through. Scrape out the seeds and stringy fibrous pulp. Set aside for later when they can be cleaned and roasted, if you wish. If not, discard. Mix apples, raisins, nuts, oranges, maple syrup or honey, and spices. Spoon them into the shell. Put the lid on and place the filled shell in the oven on a pie plate. Bake at 400 degrees F. for one to two hours; just until a fork can easily penetrate the shell. To serve, remove the cover and serve at the table from the shell for a stunning presentation. Top with your choice of sweetened yogurt, sour cream, ice cream, heavy cream or whipped cream, if desired. They are all good! Cut off 1/2 inch from the tops of 4 miniature pumpkins (6 to 8 ounces each); set the tops aside. Using a spoon, scoop out seeds and membranes and set aside to clean and roast later. Place pumpkins, cut sides down, on a baking sheet. Bake for 20 to 25 minutes or just until pumpkins are easily pierced with a fork. Fill will favorite ingredient and serve. With All those Seeds You Have Saved from Hollowing Out Pumpkins.....Why Not Roast Them? It would be a shame to throw away all those pumpkin seeds when they are so full of nutrients and taste so good too. They will make a wonderful healthy garnish to salads, soups, stews and casserole dishes. They are also great as low calorie healthy snacks too! With seeds and stringy pulp in a colander, separate seeds from pulp by removing them under running water to clean. Clean all the pulp from the seeds. Discard leftover pulp to the compost pile. Spray baking sheet with an olive oil cooking spray. Add seeds in a single layer. Lightly salt the seeds with the sea salt. Bake at 350 degrees F. for 10 to 15 minutes. Turn seeds over half-way between roasting time. 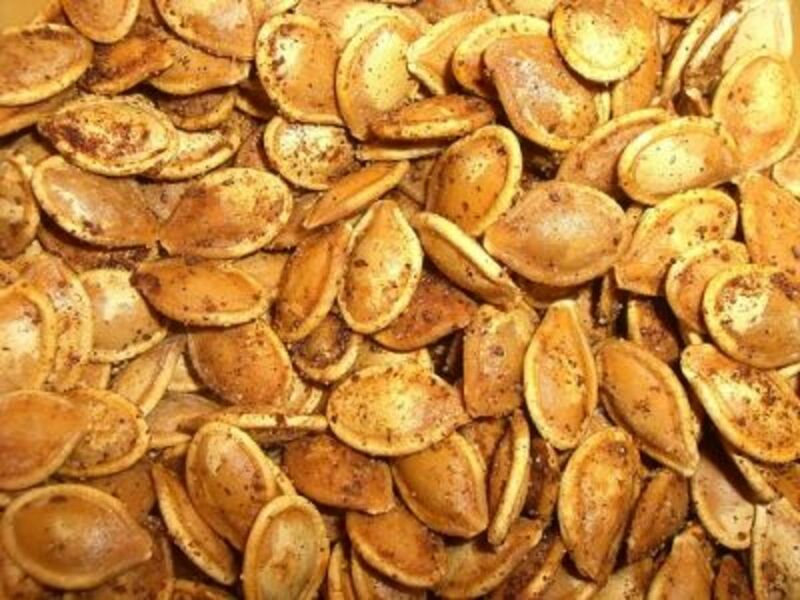 There are many different seasoning mixes that can be used when roasting pumpkin seeds. Personally, I like a hot & spicy mixture using garlic powder, cayenne pepper, chipotle pepper and sea salt. 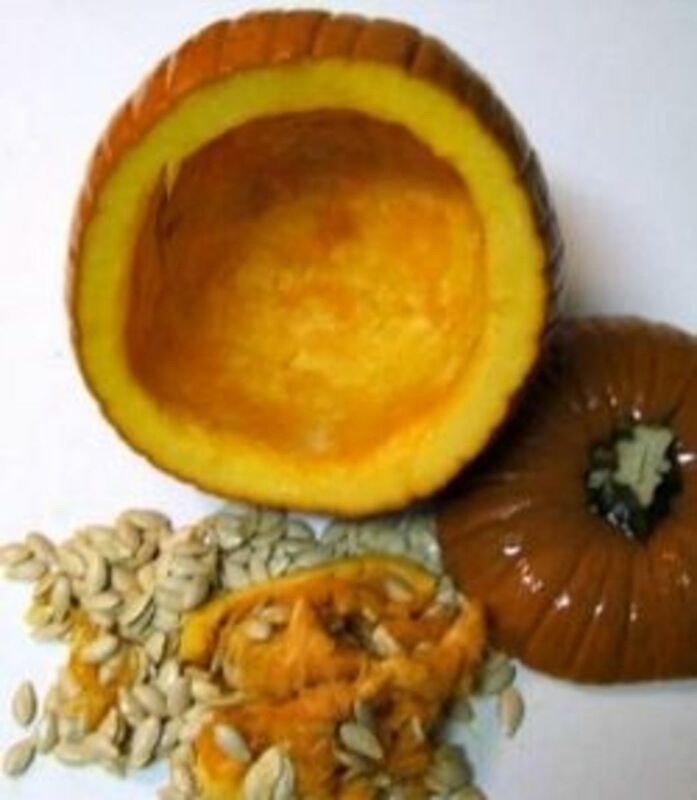 Below are links to roasting pumpkin seeds using different spice combinations. There are a million ways to season your freshly toasted pumpkin seeds in addition to the ones I suggest below. Sugar & Cinnamon make everything tasty. There are as many Pumpkin Soup Recipes as there are cooks. I have 10 - 15 different Pumpkin Soup Recipes in my own personal recipe file and they are all different and they are all good. Pouring your homemade Pumpkin Soup into a pumpkin shell to use as a serving bowl is an easy special touch. It's worth it to go the extra mile when pumpkins are in season to make the homemade pumpkin puree and to use hallowed out pumpkins as the soup tureen. In a soup pot on medium heat, cook bacon or duck fat until all the fat has been rendered; do not burn. Remove and reserve the browned pieces. Sauté the onions in rendered fat and butter until golden, but not brown. Add the pumpkin puree, milk, cream, 3 cups chicken stock, and honey, stirring constantly. Add the ginger, brown sugar, spices, and citrus; heat slowly. Do not boil. Let simmer, covered, for 45 minutes, stirring often. At this point, check the consistency. If the soup seems too thick, add the remaining chicken stock and adjust seasonings. In a small mixing bowl, mix whipped cream, herbs, and pepper together. Set aside. Pour soup in bowl. Top with herbed seasoned cream, crispy bacon, and toasted pumpkin seeds. Serve immediately. The cream will melt on the top of the soup and will help finish the soup to a smooth consistency. If you used canned pumpkin and the soup is too thick, add chicken stock, water, or orange juice to taste. The soup may be made the day before serving and refrigerated. This will meld all the flavors together. 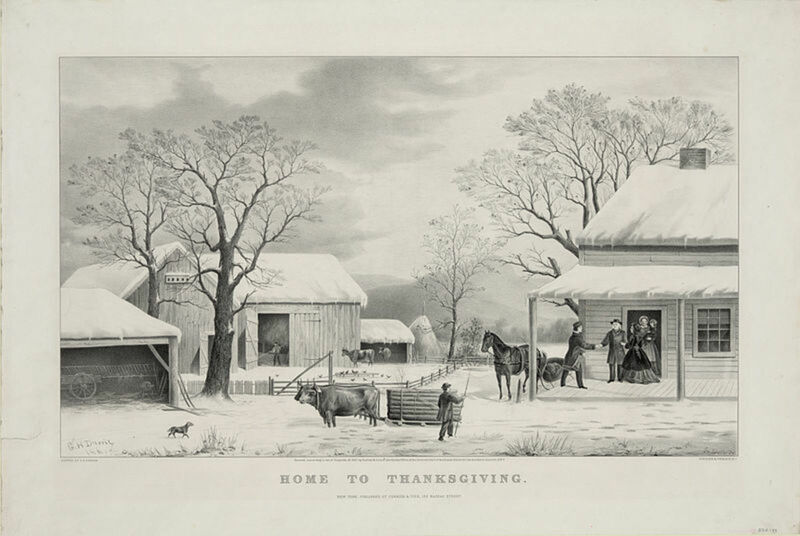 Christmas Day, on December 25, is one of the most festive Christian holidays in many countries around the world. It celebrates Jesus' birth. So here we are bringing the Free Merry Christmas wishes. What an attractive way to present things! 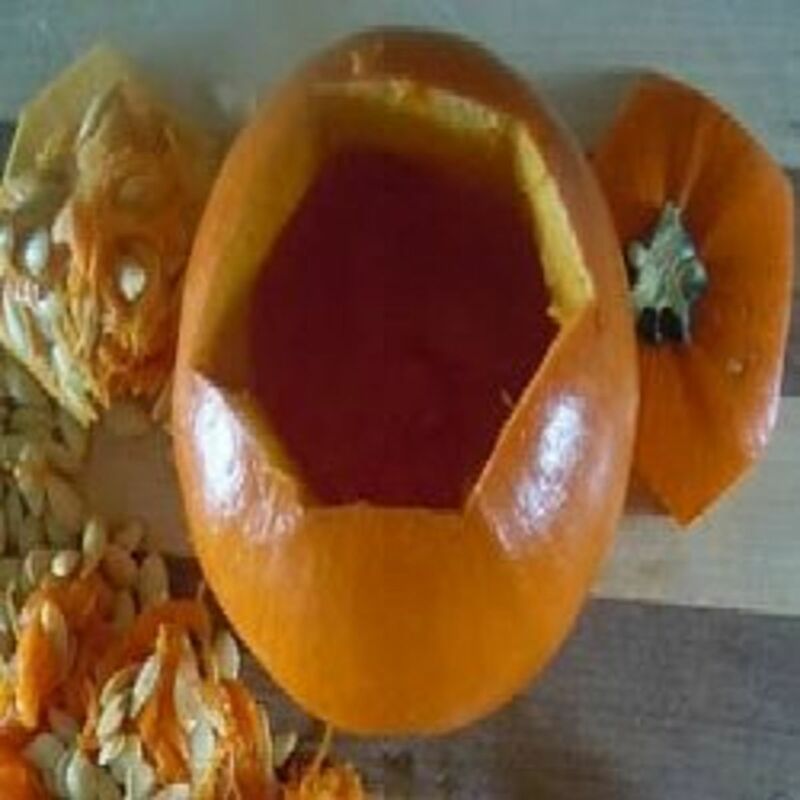 So many great ideas for serving food in a pumpkin. 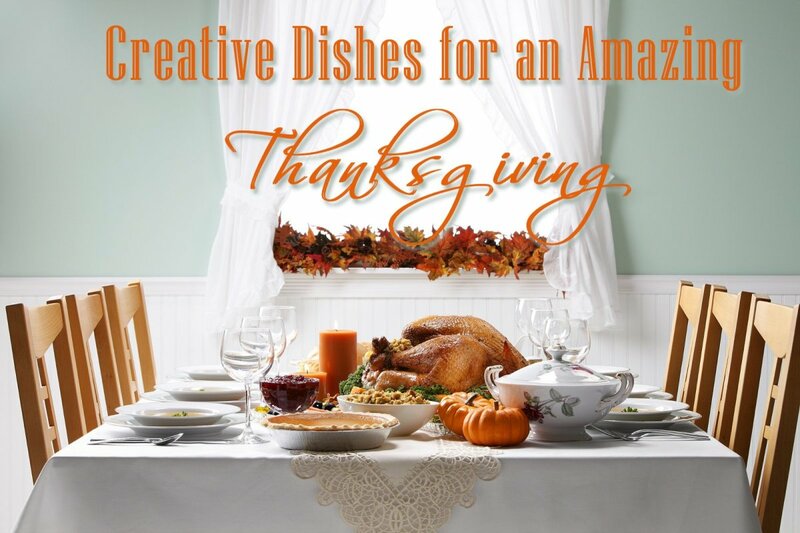 Need to try some of these this Thanksgiving, thanks for sharing! 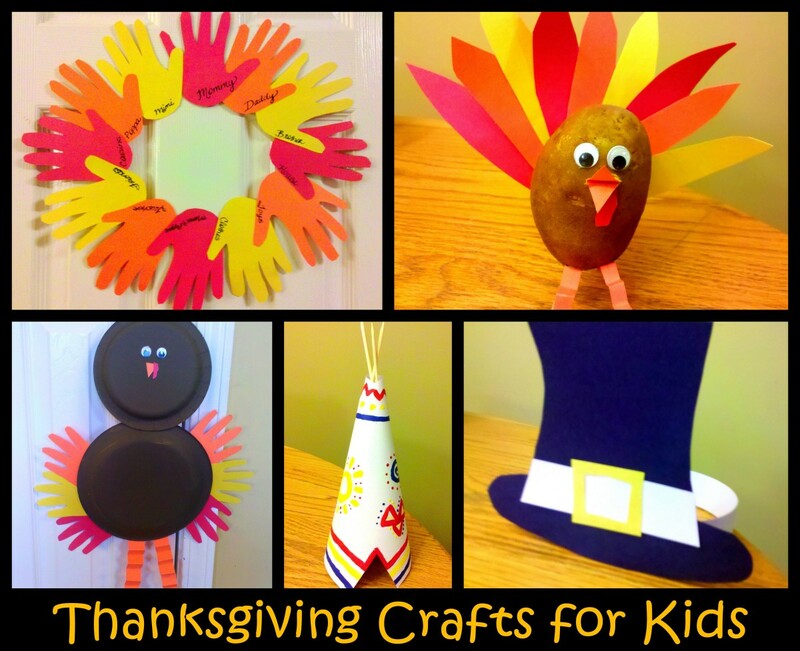 GREAT fall pumpkiny ideas! Blessed! What a great lens, thanks for visiting my similar lens, angel blessed!